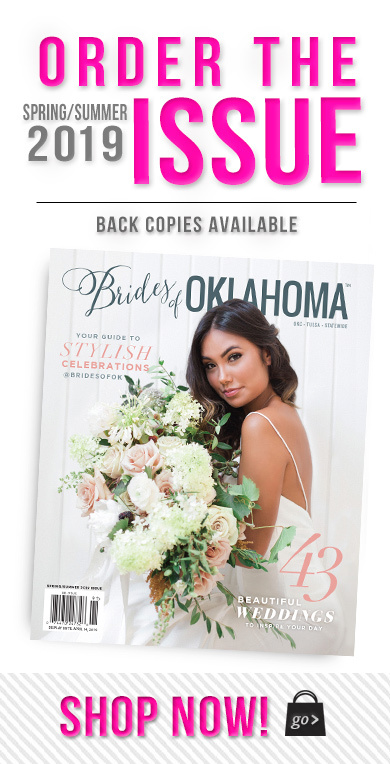 Bridal Classiques is celebrating its 27th Anniversary — congrats! What better way to celebrate than with a sale?! 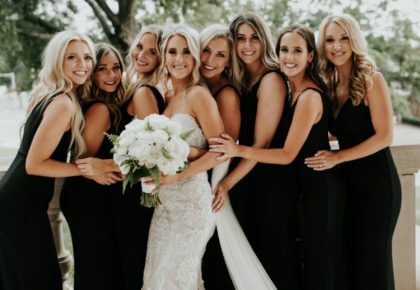 It’s definitely great for brides-to-be! 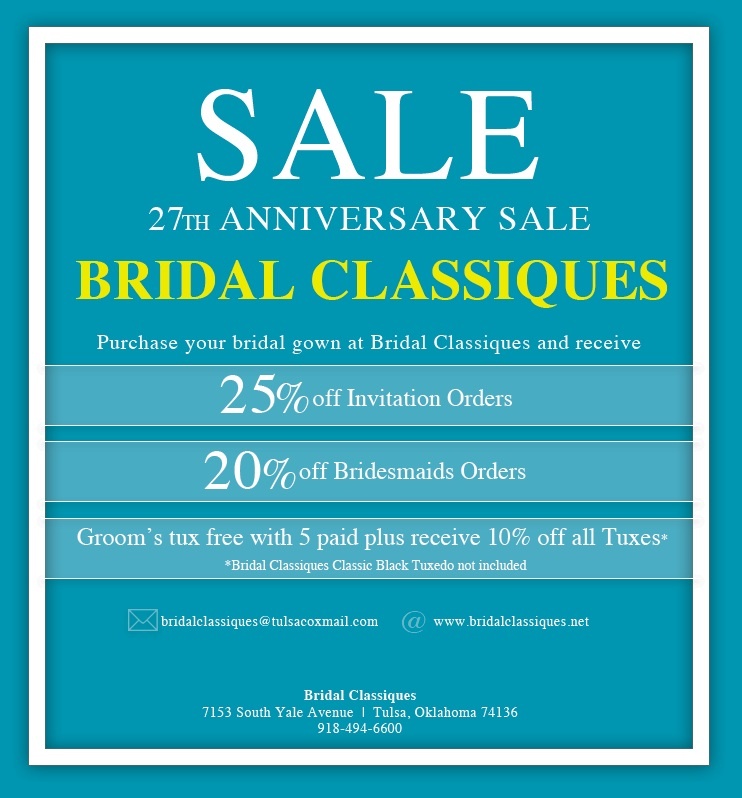 When you purchase your bridal gown at Bridal Classiques, you will receive 25 percent off invitations and 20 percent off of bridesmaids’ orders! 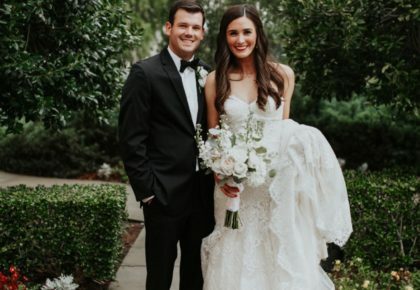 And, the groom’s tux is free with five paid! You’ll also receive 10 percent off tuxes! Don’t miss out on this great sale! 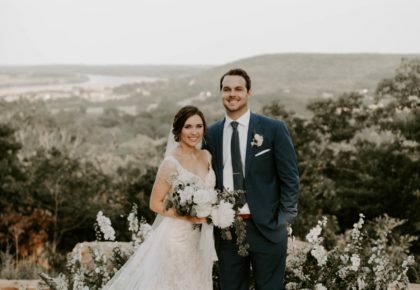 « Previous Post: Real Oklahoma Weddings!